Synopsis: This book is basically a how-to guide on how to create a life you’ll love. Jen tells you how to stop doubting yourself (with some humor along the way), learn to love yourself, take risks, and set goals to live an amazing life. There are 27 chapters in this book and each chapter covers a different topic. Thoughts: This book is amazing and so inspirational. I absolutely loved it. This was one of the first books I read in 2017 and I think it really put me in a good mindset for the year. I appreciated that this book had a lot of humor in it because it made it that much more enjoyable to read. I think every woman needs to read this book. Honestly, I’m probably going to read it again in 2018 for more inspiration! Synopsis: 32 year old Russell Green is living a great life, at least he thinks so. He has a great wife, a six year old daughter, and a career in advertising. Then he loses it all. He’s left with no job, no wife, and now is a single dad raising his daughter. Now, Russell has to learn how to navigate his new life. 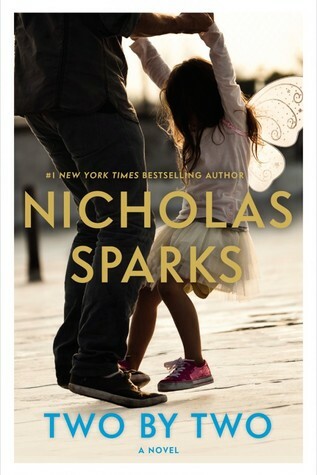 Thoughts: I always love a good Nicholas Sparks book. I know they’re all a bit cheesy and usually predictable, but they’re always favorites of mine to read. It’s been awhile since I read this book, but again I loved it. 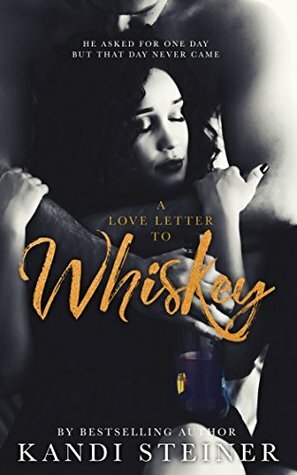 Yes, it’s a romance book, but there’s also so much more to this book! 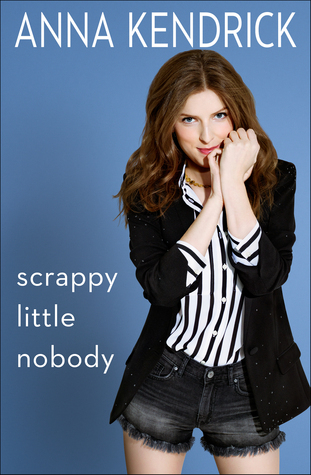 Synopsis: This is an autobiography of Anna Kendrick’s life and her rise to fame. Thoughts: I really like Anna Kendrick. She’s very witty and I’ve enjoyed her acting in all of the movies she’s been in. 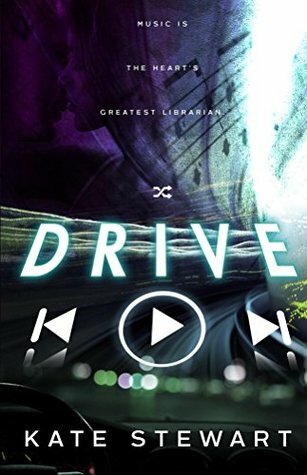 I listened to this book on audio book and highly suggest you do too. Anna Kendrick herself reads the audio book version, which makes it even better to listen to! She definitely uses a lot of her humor in this book and I found it highly entertaining and interesting! Synopsis: Jenna Gray’s life is turned upside down when her son is killed in a hit and run. This story follows Jenna Gray’s journey as she moves to a cottage on the Welsh coast to get away from that terrible day. Meanwhile, this story also follows a pair of Bristol police investigators who are trying to solve the hit and run case. Thoughts: This is one of my favorite genres to read. I absolutely love trying to solve the mystery and figuring out what is going to happen next. This story gripped me from the start. There were times that I was so surprised during it, that I had to flip back and try to figure out how some things were possible. This mystery is in no way predictable. Once you start reading it, you won’t be able to put it down. It definitely had a surprise ending that I wasn’t expecting! Synopsis: This novel throws you into a world of magic and thievery. Roxy Nouvelle, daughter of a world famous magician, has inherited her father’s talents and love for jewel thievery. Enter Luke Callahan, an escape artist, who steals Roxy’s heart. 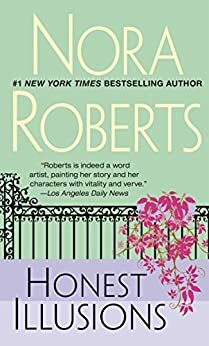 Thoughts: Nora Roberts is one of my favorite authors. Honest Illusions is an older book of hers, but I didn’t read it until this past year. Two of my closest friends (thanks Laura and Rachel) raved about it and told me that I needed to read it. It took me a little bit to get into this story, but once I did I was hooked. Reading about Roxy and Luke’s lives and the world they lived in was so interesting. This novel is very different from any of Nora Roberts’ other books. Synopsis: This book follows the story of Lina, who is spending her summer in Italy. She doesn’t want to be there, but it was her mom’s dying wish that she gets to know her father. While in Italy, Lina is given an old journal of her mother’s. Lina uncovers mysteries and secrets of her mother’s life with the help of a boy named Ren, who is one of the first people she meets in Italy. Thoughts: This book was a quick, light read, which I absolutely love reading! I really enjoyed the story line and getting to know the characters. This story left me yearning to go back to Italy and wanting gelato and pasta! I loved that it took place outside of Florence since that was my favorite place in Italy I visited. If you enjoy YA books, I highly recommend this book! Synopsis: I’m not going to give much of a summary for this book because I don’t want to ruin it and give anything away. You simply need to read it. Trust me! This is the story of Parker Cruse. She’s 26 and has just moved out of her parent’s house to live on her own and start to grow up. First, she needs to find a job. Her journey has ups and downs, love, heartbreak, and secrets. Synopsis: Feyre, who is 19, hunts to help her family survive. One day when she is hunting in the woods, she ends up killing a wolf. Little did she know that this would have such a big repercussion. Later that night a beast-like creature arrives at her family’s cottage demanding that she pays retribution for it. Feyre is dragged away from her home to a magical land that she has only heard about through legends. This series follows Feyre as she learns about the magical Fae world and how to navigate it while making sure she survives. Thoughts: So far there are three books in this series. These books are pretty long, but I didn’t find this to be an issue at all because they’re all so good. I easily got absorbed into the characters, story line, and magical Fae world from the very beginning. This series has a bit of a beauty and the beast vibe to it at times as well. I thought the first book was really good, but I was told that the second is the best and that I needed to get to that book. I definitely agree with this. The first book was still really good, but once you read the second, there’s no debate about which one is better! After reading the second book, I didn’t think it was possible for the third book to be better, but I ended up thinking it was the best one! I really can’t wait for the fourth book to come out since it’s seems like the series just gets better and better with each book. If you’re into YA and fantasy, you NEED to read this series!!! Synopsis: This is a story of a forbidden love. Olivia has moved to Chicago for an internship after college. 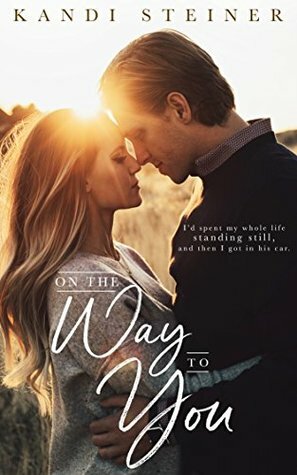 On her first day, she meets Callahan and there’s an instant attraction between them. Later, Olivia learns that not only is Callahan the CEO of the company she’s interning at, but also her brother’s best friend. Thoughts: I read this book without reading the other books in the series first. This is book four in the series, however you can read it as a standalone since each book focuses on different main characters. I really enjoyed the story line of this novel and couldn’t wait to find out how it all ended. I also really liked both Olivia and Callahan’s characters. After getting glimpses of some of the other characters from this series, I definitely want to read the other books too. Synopsis: I’m really not sure how to describe this book. All I’m going to say is that it centers around music and an epic love story. Thoughts: I honestly can’t get over how amazing this book is! 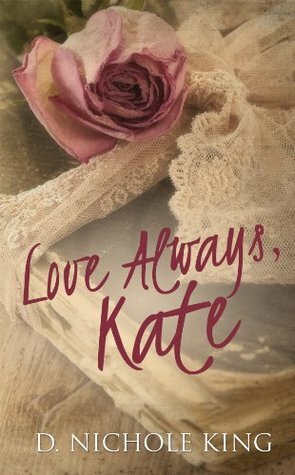 This was my first book by the author, Kate Stewart, and I was hooked from the first page. Her writing is absolutely flawless and she has a way of pulling you in. This story left me feeling so many emotions throughout it. The characters in this book were all so good too! I really loved them all and felt completely invested in them. I truly can’t rave about this book enough. If you enjoy reading this genre, then you have to read this book! Trust me, it will be one of your new favorites! Synopsis: This story takes place during World War II. It follows the lives of two sisters who have their differences, but are still close. Isabelle, the younger sister, lives in Paris and Vianne, the older sister, lives in the French countryside with her husband and daughter. Once the war starts, Vianne’s husband is sent off to fight while Isabelle is sent to live with Vianne by her father. As the war progresses, life as they knew it is gone for the sisters. They find themselves responding to the war in different ways and in situations that they would’ve never thought they would be in. Thoughts: This book has been on my to-list for a very long time. After months of being on the waiting list for the ebook through my library, I finally was able to read it and get what all the hype was about. Historical Fiction isn’t my go-to genre, but I do enjoy reading it every so often and am trying to read it more. I was interested in this book because I had heard about all the good reviews it’s gotten. Plus, I find World War II to be a very interesting topic. I’m not going to lie, I wasn’t hooked from the very beginning, but once I got into this book I couldn’t put it down. It was so interesting reading about each of these sisters’ lives during World War II and how they responded to the war. I highly recommend this book if you’re interested in historical fiction. Synopsis: Cooper is a young adult working at a diner to save up money to go to college out of state. One day a stranger walks into the diner and Cooper ends up going on a road trip with him to leave town sooner than expected. With that begins a road trip romance. However, this isn’t your typical road trip romance. It’s so much more! 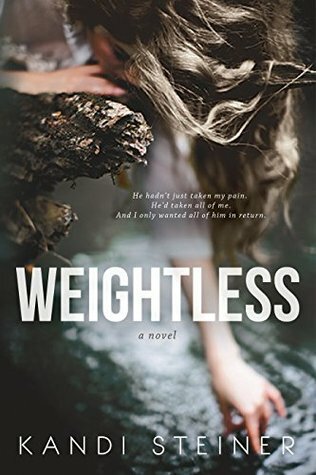 Thoughts: This was another new author for me and I’m glad I found her. I’ve read a few romance stories where the characters are on road trips. This story has its light, happy, upbeat moments, but there’s also plenty of serious and heavy moments too. Cooper and Emery aren’t like any characters I’ve read about before and I loved that about them. I was rooting for them the entire way. Synopsis: You really just need to read the official synopsis on Goodreads here. It’s so unique and intriguing that you’ll have no choice to read this book to find out its meaning. Thoughts: After reading the synopsis for this book, I really wasn’t sure what to expect at at all. I wasn’t even sure what it was going to be about. I can tell you that this story is not what I would have guessed at all. Like the first book I read by Kandi Steiner, I fell in the love with the characters and became invested in them. Kandi Steiner has a way of taking romance stories and making them into something so much more. Her stories seem so real and raw and this book was no exception. I would love to tell you more about this book, but I think you should just trust me and read it. Synopsis: Like the above book I talked about, you need to read the synopsis on Goodreads for this book too. You can find it here. This synopsis is so intriguing as well. Thoughts: Clearly after I read my first Kandi Steiner book, I went on a little bit of a binge with her books. They’re all just so good. I’m not sure which one is the best. It’s hard to pick since they all have such different story lines. With this book, I really wasn’t sure what the story line was going to be like after reading the synopsis. I honestly was a bit leery of it, but since her other books were so good I decided I needed to read this one too. I’m glad I did because it was such a great book! 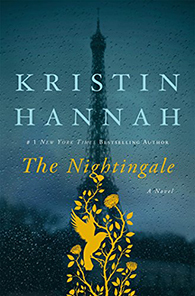 Synopsis: Kate is a seventeen year old girl who has been dealing with Leukemia since she was 11. She had been in remission, but now she’s back out of remission. At this point Kate has three choices: another round of chemo, a new experimental drug, or just enjoy the time she has left. 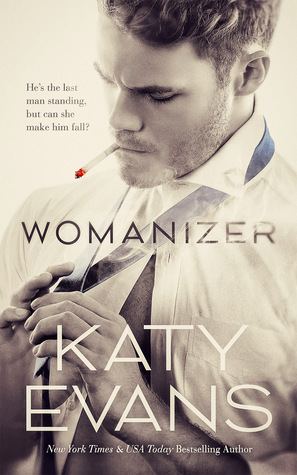 Kate thinks she knows what she wants, but then Damian walks into her life. Damian has his own issues that he’s dealing with, but there’s an instant connection between them. Kate is left with the big decision of deciding what she wants to do and thinking about how it’s going to affect those around her. 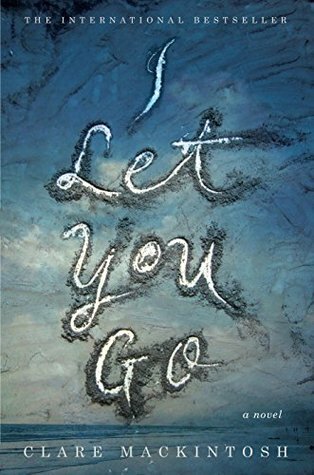 Thoughts: After reading what this book was about, I figured it wasn’t going to be your typical happy YA romance and it’s not. Even though this book had its sad parts, it also had plenty of great, happy moments. I truly enjoyed this book even though it left me going through a roller coaster of emotions. However, if you’re not into sad books then this one probably isn’t for you. Synopsis: Sydney is an aspiring museum curator currently house sitting around the world to save up money. This summer she’s dog/house sitting for her aunt and uncle for 30 days while they’re away on vacation. Within the first 24 hours, Sydney meets Lautner, a pediatric resident. Their attraction is instant and they spend all their time together. What will happen when Sydney’s 30 days are up? Thoughts: The first half of this book is light, fun, steamy, and humorous. But then the second half takes a big turn. It’s becomes a lot more real taking you through a roller coaster of emotions. This book was SO good! I thought there were many twists and turns that took me by complete surprise. It definitely wasn’t predictable at all either, which is always refreshing! Synopsis: This is a picture book based on the chapter book, Wonder, geared towards younger readers. Auggie and his dog Daisy teach you the importance of choosing kindness and what it means to be a wonder. Thoughts: I’m an elementary teacher, so I had to include one picture book because I just can’t get over how amazing this one is!!! I read this book to all of my students and it was so amazing to hear their reactions and responses to it. They all did so well getting the message of the story. This book has become sort of the theme in our classroom this year, which I love. I read Wonder years ago and absolutely loved it! I was so excited when I heard that a picture book came out. It’s perfect to read with elementary aged students. The illustrations are fantastic in this book too! Seriously, do yourself a favor and read this book and share it with everyone you know. Make sure you see the movie Wonder too because that is also amazing! If you would like to keep up with my current reads, feel free to follow and/or friend me on Goodreads! Have you read any of these books? What were you top favorite books that you read in 2017. Share in the comments below! You definitely should read it!!! It’s such a good read and it’s quick too! The Nightingale is so good! I loved it more than I thought I would. Happy New Year to you too! I’m so glad you enjoyed these books! I’ve actually read The Curious Incident of the Dog in the Night Time! I read it for a book club that I do with some of my friends a few years ago. It was definitely wasn’t your typical book, but I really loved it too! When I was in London last summer I saw that it was a play there. I think it would be really interesting to see it as a production! oh wow are you american? thats really cool! i really wanted to see the production, as i was studying it in drama at school, they use a lot of frantic assembly so the performance really captures christophers mind way of thinking for the audience! Yes, I am American. Where are you from? I know it would be so cool to see the production! im from the uk!!!! i really want to move to la sometime tho, it would be so cool! That’s awesome! I’ve loved the UK when I have visited! woowwww you’ve been hereeee! what part? Yes, I’ve been to Edinburgh, briefly in Whales, and then all over England. You should! Let me know if you read any of them! ok im you’ve got me pumped! i’m def stepping up my reading game this year! usually by jan end i’ve already bought and read at least 3 books but i dont know what happened in 2017! 2018 will def be different you had wayyy too much fun i want in! Haha, I’m glad I got you excited about reading! I definitely have years where I read more than others. It just depends on my schedule and whatnot. Happy reading! I love seeing what people love when it comes to reading! I’m a huge fan of the book Wonder, so I need to read the picture book and all the short stories. I own Scrappy Little Nobody and MUST read that soon. I also really want to read You Are a Badass. Thanks for all the rec’s!! So do I! I’m always looking for book recommendations! 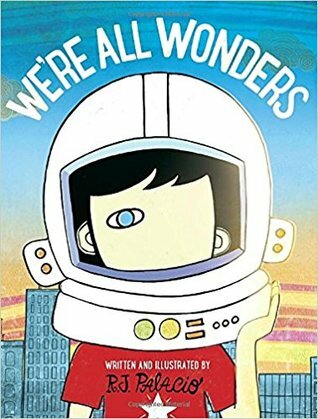 You’ll defnitely like the picture book if you enjoyed Wonder! I highly recommend Scrappy Little Nobody and You Are a Badass! Both are great! I’ve committed to reading more books. I’m actually considering starting a book club with my friends. These books might be a good start for me. I’ve been doing a book club with some friends from college through Skype since after I graduated from college. We meet once a month and it’s so fun to discuss our books and catch up on each other’s lives!